1. The free charging is coming to an end. 2. The Companies running the charging points customer service is non-existent. 3. Phone Charge Master, phone rings and rings then there is no one to answer call then auto disconnects, No call queuing. 4. Charge Master Monthly charge of £7.95 plus 9p per Kilowatt. 5. Ecotricity is introducing app which you must have smartphone to use. 6. Ecotricity the charges are outrageous £6.00 for 30 mins I need 50 mins for full charge so £12 for 80 miles. My hydrocarbon car is cheaper. 7. Over 18 months I have found too many charging points do not work. 8. Charging points especially at train stations shared with disabled so can never park to charge. Do I have to pay to park whilst charging, neither train stations or NCP could answer that. 9. At on street charging and places like Waitrose normal cars park in charging bays so cannot use. 10. On street charging I complained to traffic warden about ordinary cars using marked bays, there was nothing they could do as they cannot book non electric cars parked in electric only bays. 11. Range of cars is poor. 80 miles in summer 60 in winter. 12. The companies running charging network are just so , well frankly nicest thing I can say amateurish. The experiences of this motorist are so different from the media hype concerning electric cars that I am surprised that electric car manufacturers are not being prosecuted regularly for their outrageous cost savings and distance to be driven claims. VW are reputably chasing electric R&D... this dead-end could be the end of VW. There seems to be a future of $50 a barrel oil so electric vehicles have no economic advantages. Never read so much complete rubbish regards EV. lets look at those 12 "reasons" to give up. 1. Really? why should electricity be totally free? it has to come from somewhere you know? 2. Bit of a broad statement to make without going further, did he call every company? what reason did he call them? out of hours or not? etc. 3. same as point two? so can be ignored. 4. pretty much same as point one, however only applicable if you use charge master anyway. 5. Yes, and how is that a bad point? but again, its only valid if you use ecotricity units. 6. You dont mention what car you have? But a Leaf can get to 80% from empty in 30 mins on an ecotricity rapid. Again though, its only applicable if using ecotricity points. 7. After 18 months I have found one or two out of order, and they usually get repaired within a day or two. 8. I have never came across this situation at all? Signs clearly state if parking is free while charging, most are free, but again, why do you expect everything to be totally free just because you have an Ev? 9. Well that happens everywhere, same with idiots in disabled bays, parent/child bays etc etc. It's educating drivers that is needed here. Waitrose, or whoever can and will help with this if asked. 10. That all depends on the area and the land owner/council. But its rubbish to say that traffic wardens cant ticket ICE cars in Ev bays. They regularly do where I live, and the parking signs clearly state that it will be a fine. 11. Again, it depends on what car you have? 12. Same point as two is it not? So, to sum up, those 12 "reasons" most of them are just saying the same thing in a different way? Seems NW has chosen a car that doesn't fit in with his needs at all, especially when he is expecting to have free electricity and free parking? Also, no mention of charging at home? why not, most EV users do. It's poor sensationalist rubbish to be fair, and certainly not what you'd expect on a website with the name of "Honest"?? Gary I guess from your comments to my Original e-mail you have not got an Electric car. I guess you are one of those people who comments but has no experience so put your money where your mouth is and spend £30k or lease an EV. Incidentally i have leaf i use for commuting 60 miles round trip. At Bishops Stortford train station the EV charging point is in the season ticket holders area only, and therefore since I am occasional user of trains, One actually has no method of payment for that area. There are no payment machines. So a £50k charging point is not used, I contacted Chargemaster and they admitted not in use as not used enough, surprise surprise, the £50k came from one of the millions the government has plowed into making EV's successful. The new charges for EV charging are too high given the infancy of electric vehicles, ecotricity gave the reason for bringing in charging early was that outlander Phevs using the charging points over pure EVs a ridiculous reason. One of my other vehicles is an outlander PHEV £36k. So the spend is some £66k. I do really want EVs to succeed but they will not because of the EV network and the poor range of EVs. Example i go to Bury St Edmunds from where I live at Bishops Stortford Round trip 100 miles exactly, a fully charged leaf has 80 miles range or less as all the ancillaries use power, i did the outbound journey at 60mph and had 20 miles left , I recharged at Nissan dealer because all charing bays only 3 in town centre had non EVs parked in them this happens all the time. My return trip I arrived home with just 12 miles left. If it had been winter, The Ev range is 60 miles but you loose 14 miles on heating thus I would not even get to Bury St Edmunds. eh? I have already said I have a Leaf, new since March this year, not that it is any of your concern. Before that I had a Golf GTE on lease via work. So, no I am not one of those who comments and has no experience? You say you have a commute of 60 miles, and had a leaf that has a range of 80? so why the hell would you choose that car if it doesn't fit your circumstances? If you charge at home, and at work then fine, but why would you choose a leaf and then complain it doesn't fit you? Surely any sensible person chooses the vehicle to fit their circumstances? As I said earlier, the "new" charges from ecotricity are only relevant if you actually use their points. I did around 9000 miles in the GTE, and have so far around 3000 in the leaf, and in that I have used ecotricity points twice. In fact of all those miles I have actually paid about 3 times to charge up, 99% of my charging has been totally free, so as you can see, no I totally disagree with your comments. I can do my whole weeks worth of commuting and not pay a penny to charge. Right a fully charged leaf has 80 miles range, yes agreed, if its a 24kwh version, and not the later 30kwh one. So you are not exactly being truthful there. And you also go on about doing a 100 mile journey??? But you have already stated the range so why would you even try if you weren't sure you could charge up? Oh and a quick check on zap map shows there are plenty of charge points between Bishop Stortford and Bury St Edmunds, or are you again being a bit liberal with the truth to exaggerate your argument? You are a prime example of someone who buys an item without any thought, why else would you have a Leaf. Gary you got quite personal when you rubbished my statements I did a lot of research before I bought an EV. Also you agree leaf has 80 mile range but in reality range is far shorter, you do not acknowledge that at all. Also you say a lot of charging points on the way to Bury St Edmunds not quite true. Dealership charging points only open during hours. I personally do not want to charge during a 50 mile trip and add an hr to a 1 hr journey. Better to charge at Bury St Edmunds but again this is where 5 charge points are 1 x 13 amp public car park, the rest are in use only during opening hrs 2 at Waitrose 1 at Asda and 1 at Nissan dealer so in reality not convenient, the Waitrose always as I clearly stated non Ev cars parked in them, the 13 amp useless and the Asda is not where I need to be too far out of town. You really fail to understand how inconvenient any charging is away from home. I am really fed up of non EV vehicles in EV bays. It is not like I have lots of choices with a limited range. Vehicle. You really fail to understand some very real issues with EV ownership. I personally will be pleased when I hand the car back. The drawbacks just outweigh any advantages. For the expense of the car there are just too many other hydrocarbon powered cars that are cheaper and not limited by range and more practical. Look at zap map and plug share, there are at least 10 points between those two towns, including a couple rapids, so again, you are just plain wrong. Like is said but you ignored, the 24kwh leaf has 80miles range, but the 30kw has 100 or more, again you ignore that point. You have just stated what points are available at your destination, and the reasons you can't use them, allegedly, however you then say you did your homework BEFORE buying it?? Obviously you didn't start all. It is you that's fails to understand, and ignore my point of view, I have had zero issues charging away from home, in over 18 months, and near on 13000 miles. I rarely charge at home as I have no need when MOST charge points are free. Finally, you actually still have the leaf??? So the title and the whole post is rubbish, at no point did you state that you still have it and are handing back. You in your initial correspondence if you read it no where did you state you have a leaf. All I can say hope you have not actually bought one outright. I also started trend in my street people wanted to give them a try, but all say never again, range is far far too low and charging points for whatever reason unreliable. You cannot prove your opinion is any more truthful or valid than the OP's. I could ask whether you work for one of the charging firms or a car manufacturer who makes EV vehicles, given some may construe you opinions as biased the other way. Perhaps the OP's statement (not HJ's himself) should've been qualified with one that says that this is only one person's view, but if it IS a genuine situation, it is no less valid than yours. I agree that the way it is presented, it could be by some construed to look like an 'official HJ website' view, which it isn't. Good and bad experiences should always be reported, and at least you got the 'right of reply', where many websites do not allow that on some 'reports'. To be fair, your more 'rosy' experiences may have equally clouded your opinion of owning and running EV cars - there needs to be many reviews of the ownership experience before people in general can come to any conclusions, good or bad. What we don't want is for people bad-mouthing others just for giving (hopefully) an honest opinion of an experience just to shut down debate, possibly to the benefit of a party/firm directly/indirectly connected to the comments. We need to be respectful that other people will have differing views due to their own experiences - by all means critique them, but respectfully. Andy thanks for backing up my comments. All are based on 18 months experience and actual events. I really would like EV vehicles to succeed. But the range is far too low, and in winter any battery looses 25 to 30% of its capacity. Another disadvantage with any battery you can charge to 80% in about 40 mins on 600v DC charger Ecotricity but the last 20% can take as long or longer than the first 80%' it is al about Physics which Gary just totally fails to understand, also in winter one looses 14 miles just on heat and car lights so my experiences are very real and intended to inform. Again, pure and simple lies. It all depends on the car you have, the leaf has two battery capacities now, and two types of chargers. Your figures are rubbish and not factual at all. It's nothing to do with physics, just someone who has made the wrong choice of vehicle, and can't accept that. Pathetic really, nearly as much as the "oh my friends brothers daughters friend has a leaf" crowd. Pathetic, and the website should be embarrassed by it. Prove my opinion? How can't I like? I have no need to lie, why would I bother? And no, I don't work for a charge provider, nor have I anything to do with any car dealer or manufacturer? We could just as easily say that same for the OP, maybe he works for an oil company etc etc. I replied to these 12 reasons, mainly to point out that in fact they aren't 12 reasons at all, more like the same two or three repeated. Thanks for you opinion though. Gary you really have no concept at all of English or experience of EV's. Each point i make is valid. Have you any idea of how many companies that run EV networks in different locations? The types of charging plug types at the last count 12 you would have thought there would should have been standardisation. I used to tow a caravan I can use same plug for that anywhere in Europe. I have swiped my credit card to open an EV point guess what it had. 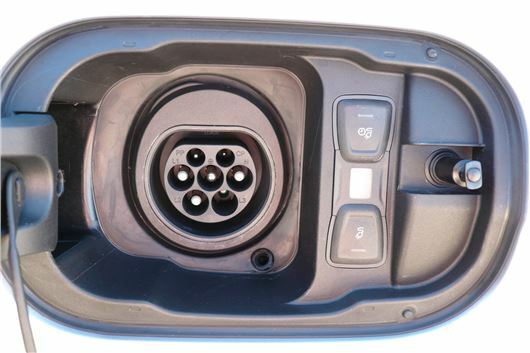 13 amp plug connector, absolutely useless takes over 4 hours to charge 60% and guess what EV users only allowed 4 hrs parking. The Type of socket used at these charging points needs to be clearly displayed before opening up because in future that will cost me £6.00 to find out I cannot use. Also I have had to pay for 3 types of card from 3 companies just to cover the areas where I drive, charge is yearly, guess what they never even inform you of when renewal due, hence another reason my comment on how amateurish charging companies are. The final comment is the second hand price of EVs just bomb , this says everything about EV's the public are not snapping up Used EV's. Oh, so now you are getting personal? Yes I am quite aware of how many charge companies operate, however I am only concerned about the ones where I drive, and would use? "types of charging plug types at the last count 12 you would have thought there would should have been standardisation"
Now that is just plain lies really. Come on then, show me these 12 types of charging plugs that you refer to? "I have swiped my credit card to open an EV point guess what it had. 13 amp plug connector, absolutely useless takes over 4 hours to charge 60% and guess what EV users only allowed 4 hrs parking"
The 4hrs parking? well it depends on what the local rules are. Nearly all of the council ran points near me are free to park as long as you are charging, and ones that have restrictions are clearly marked to advise, so again, you use one experience to big up your point? "The Type of socket used at these charging points needs to be clearly displayed before opening up because in future that will cost me £6.00 to find out I cannot use"
again, that is just pure rubbish, its is only ecotricity that are charging this £6 and only on their rapid charge bays, and even then you only get charged ONCE you have actually started a charging session. "Also I have had to pay for 3 types of card from 3 companies just to cover the areas where I drive, charge is yearly, guess what they never even inform you of when renewal due,"
well that really is your fault again by not looking before hand? Only card I have that I paid for is a CYC one, free for first year and £20 a year after, its is quite clearly advertised? Ecotricity cards are free, and at the minute still free to charge. It sounds as though it is you that has no concept of English, or at all any REAL experience of driving EV's. Oh really, ffs if YOU actually had any real world experience you'd know that there are only FOUR types of connectors in popular use in the UK. That list is for every single type, and kW, for example, type 2 3 and 7 kW, it's not a different connection? You are either very thick or clutching at straws, either way you are totally wrong. Actually, that link you provided shows SIX different types of connectors!!!!!! 3 pin, obviously, its the same as a domestic point, you only use these if leaving car for a while? everyone knows this? Commando? yeh, thats the "caravan" point, ffs, really, its only listed to help people who MAY have a commando adaptor to use? or the points have a tethered cable? Tesla have their own network for their own vehicles. SO, out of these TWELVE different types of connectors, there aren't really, its half that, and out of those SIX the Leaf can use THREE of them without any issues? and a FOURTH with an adaptor? YOU really do not have a clue what you are talking about. The FACTS are right there on the link that YOU provided. My friend has a Leaf and would agree with most of the original email complaints. Their home has a roof full of solar panels which manage the car's day-to-day needs. However, driving from Brighton to Croydon and back is impossible as there are no charge points available, or are working, or not in use, or have the right connector socket. It usually means a long wait, then arriving home on the back of a low-loader. At least that service is free but only because Nissan hasn't got anywhere to take the car for a recharge. In addition, car insurance is very high, add on solar panels, monthly battery rental, extremely limiting range and it shows that at the moment electric cars are not a good fit for most people in the UK as the infrastructure isn't available. Plug-in hybrids are a better bet but they only have a range of 30 miles or so all-electric, some look as though they have been in an accident already (new Prius). They are very expensive to buy and their hydrocarbon engines are far from economical on longer runs due to the extra weight of motors and batteries to lug around. Arguably the Ampera/Volt was the best pure hybrid so far but when I looked into owning one, the nearest service stations for maintenance were between 50 and 100 miles away. Even so I would love to see the new Chevy Volt in the UK. It would probably do well as long as the price is right. The experience of the OP is the reason I'm not buying an electric car - yet. The rants from GP! have the hallmark of someone who is in the industry or maybe just trying to justify a bad choice? They certainly don't make me any more likely to invest. I do have an electric bike, which does make me very aware of the existence, or not, of charging points. Finally, I do remember very similar slanging matches between owners of film cameras and digital cameras in the early days of digital. Owners of early digital cameras would insist that their low quality images were wonderful whilst those with Hasselblads and Nikons would assert that digital would never cut the mustard.